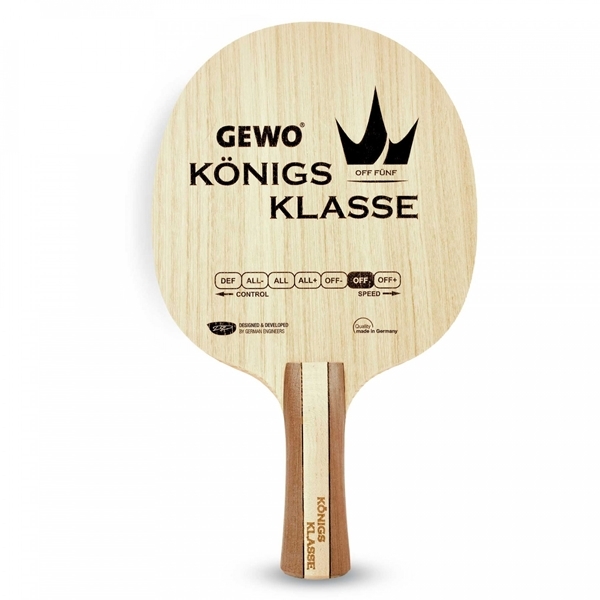 The GEWO Königsklasse OFF FÜNF follows a traditional design principle: Five carefully selected veneers provide for excellent feel and ultimate control both for close-to-the-table attacking and for mid-distance rallies. The special veneer composition of the GEWO Königsklasse OFF FÜNF also provides for more than enough power for the new poly balls. This blade unites tradition and modern table tennis. 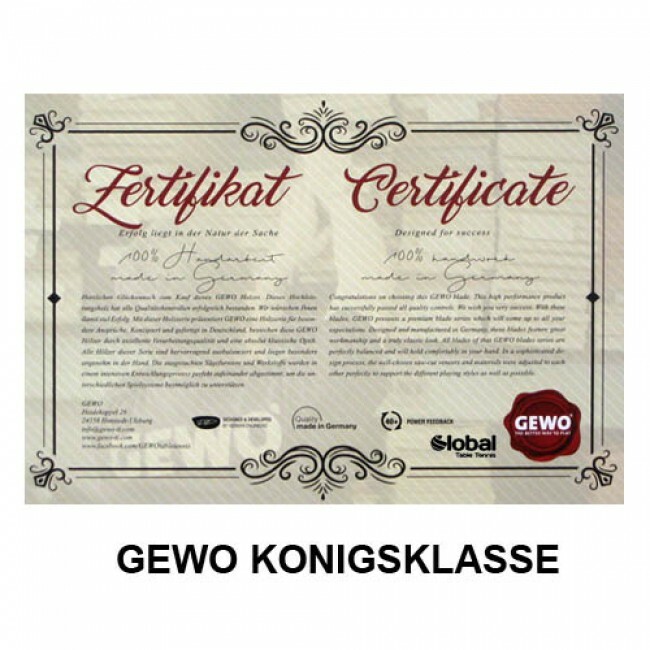 GEWO Königsklasse OFF FÜNF is the ideal premium quality OFF blade made in Germany for variable players of all classes relying on spin and placement to win their points.